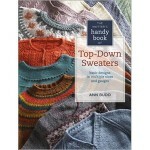 I have not bought a knitting book in a while, but I bought this one. It was published in 2007, by our friends at Stewart Tabori and Chang, it’s not “new”. 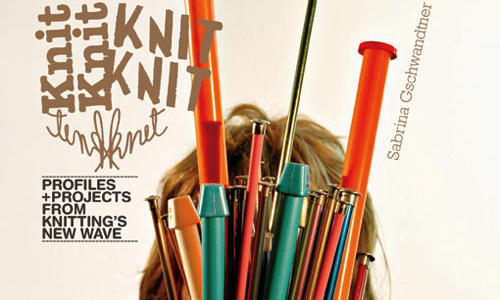 It is a compilation of some of the hottest names in knitting – from the avant-garde, to the inventive, to the marketable. Here we are in 2012 and those names and ideas are still white hot. There are designers who are still amazing, Erika Knight. There are artists playing with gauge, Wenlan Chia and Althea Merback. And some young people who have been really successful really early. I like reading about everyone of them. It’s an interesting and inspiring book. It challenges me to think about knitting in very different ways. 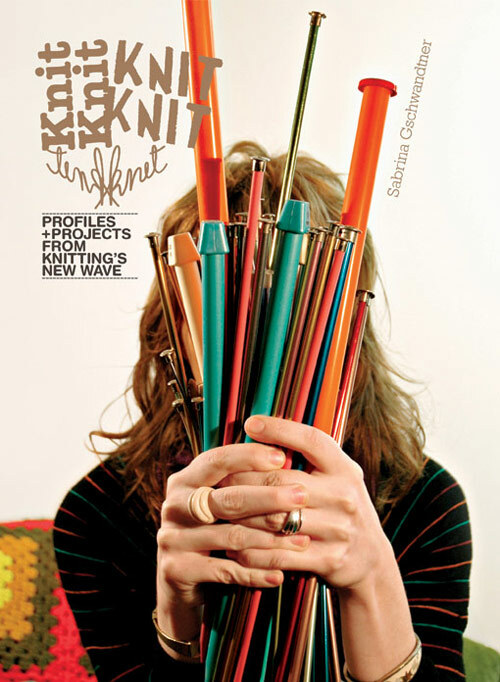 Have you ever knit anything so BIG? 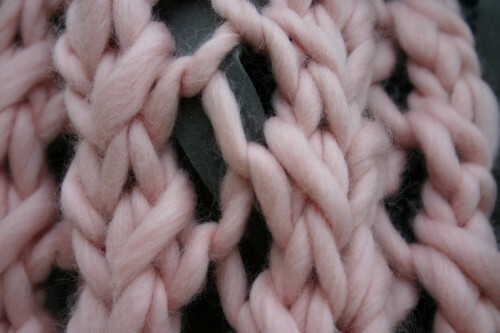 (This picture is not in the book, it is a detail of Twinkle’s Wenlan’s big yarn worked in a lace pattern.) Would that be fun? Those are the kinds of questions that the book offers for me. The book is laid out in profiles. 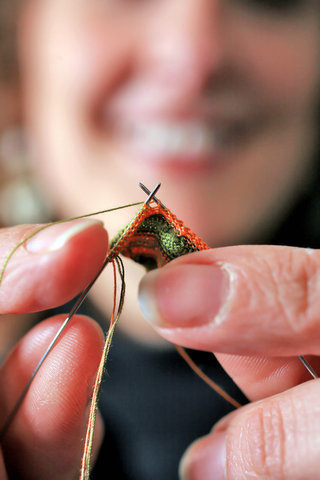 There is a biography of each of the knitters/arists, including when they learned to knit, where they live, a little bit about their job and their knitting life. 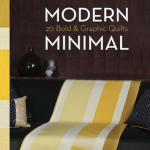 There are lots of patterns in this book, but most of them are unconventional. Knit boxing gloves are featured and a 50’s inspired knit bathing suit named Esther. It’s not really a book that you buy for the patterns. But, if one captured your attention, you certainly could! This kind of stretching the boundaries of the craft that is so exciting to me. Note: I purchased this book and was not compensated in any way for the review. 6 years ago by Susi in Books , Reviews | You can follow any responses to this entry through the RSS feed. You can leave a response, or trackback from your own site.